Here we have some articles of interest to our good health and items of importance to us and hopefully to you. Regular specials on our Teas, Coffee and gift items are also featured here. 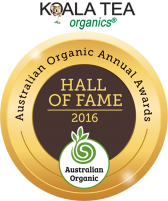 The Australian Organic Association Awards (AOAA) were held recently and we are thrilled to announce and celebrate that our Howard from Koala Tea and Biofoods, is one of two proud recipients awarded the Hall of Fame 2016 honour! Roger Pitt of Kadac Pty Ltd was also inducted into the Hall of Fame! Congratulations to both Howard and Roger. 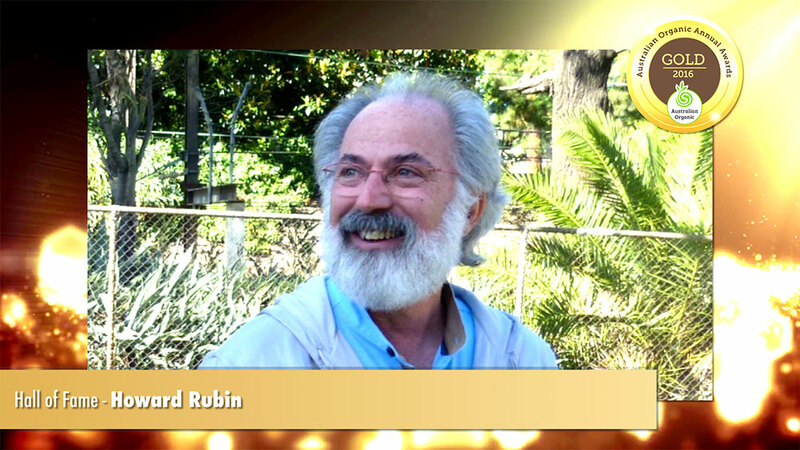 This years’ Hall of Fame recipient, Howard Rubin, has dedicated the past 30 years towards the establishment and development of the Australian organic industry. 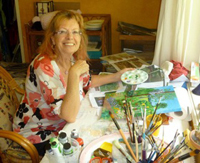 Upon arriving in Australia in 1987, Howard founded the Organic Herb Growers of Australia. This association later became known as the Organic Growers of Australia (OGA Certified). OGA were one of the original certification agencies to be formed in Australia. Howard served as its president for 14 years. Howard introduced the concept of farmers having to identify what chemicals were used in the crops production. 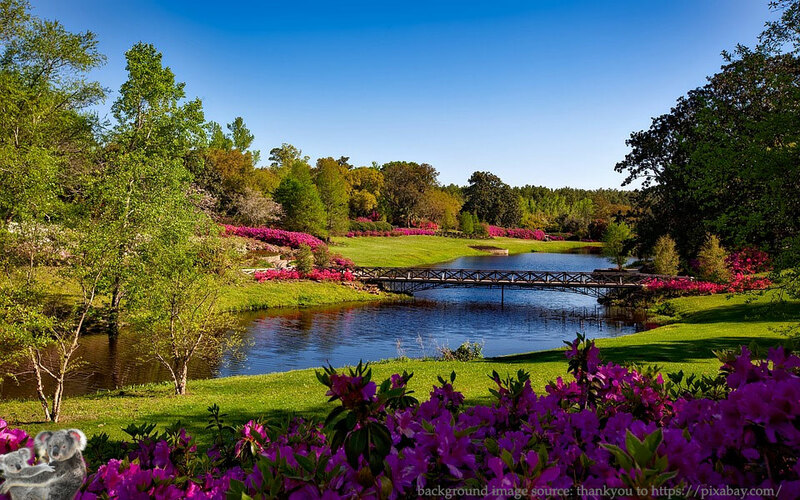 This was flatly refused and thus the concept of organic certification was introduced. Congratulations Howard! The 3rd Annual Awards for Excellence hosted by Matt Welsh, Olympian and Health and Wellness Consultant, were held at the Collingwood Children’s Farm, Melbourne on Thursday, 10th November 2016. 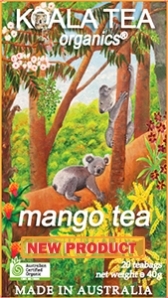 Howard Rubin & Elle Fikke founded The Koala Tea Company, Australia had no organised herb growing industry, and no Australian made or Australian owned herbal teas…. 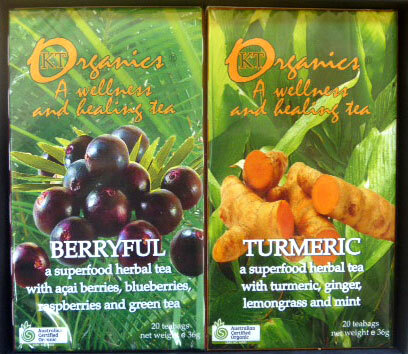 Enjoy the taste of Summer with our Organic Mango Tea and our new Berryful Organic Tea. We have a range of teas ideal for cooling, refreshing and that wonderful taste of summer. 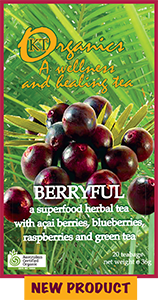 Read more about our Berryful Organic Tea – try it, its on Special. Don’t you love mango’s and wish they were in season all year round? We sure do! Fortunately we were able to find delicious organic mango pieces and mixed them with superb organic tea for our new gourmet treat! Mangoes have some great health benefits (Vitamin Diary site) and when added to our superb organic tea it adds up to a new gourmet treat we’re sure you will enjoy. 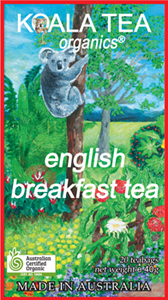 When we first started Koala Tea, well over 20 years ago now, we did only herbal teas. After all, Howard and I are both herbalists and we thought there was enough “ordinary” tea about already. And yes, the black and green teas on the market proved to be pretty ordinary. Soon our friends asked us to do some good certified organic black teas, and we included inspection visits to organic tea gardens in our annual holidays to India. 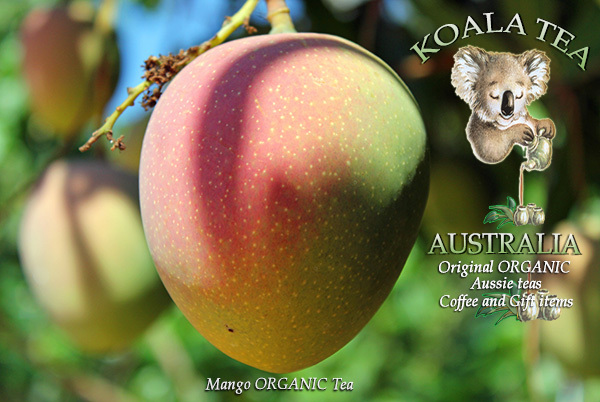 When the Australian Koala Foundation asked us to produce an English Breakfast Tea we knew just the tea gardens to use for a good morning tea melange. And I had just the picture for the box: our koala friend who regularly visits our garden and who I had painted not long ago. – Tea can boost exercise endurance. Scientists have found that the antioxidants in tea extract increase the body’s ability to burn fat as fuel, which accounts for improved muscle endurance. – Drinking tea could help reduce the risk of heart attack. Tea might also help protect against cardiovascular and degenerative diseases. 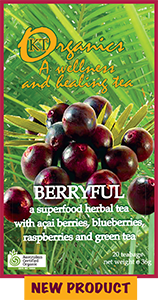 – Tea helps fight free radicals. Tea is high in oxygen radical absorbance capacity (“ORAC” to its friends), which is a fancy way of saying that it helps destroy free radicals (which can damage DNA) in the body. – Tea is hydrating to the body (even despite the caffeine!). – Drinking tea is linked with a lower risk of Parkinson’s disease. When considered with other factors like smoking, physical activity, age and body mass index, regular tea drinking was associated with a lowered risk of Parkinson’s disease in both men and women. – Tea could keep waist circumference in check. In one study, participants who regularly consumed hot tea had lower waist circumference and lower BMI than non-consuming participants. All of the above, and more, seems like a good reason to have a cup of regular tea in the morning, even to this avowed herbal tea drinker. 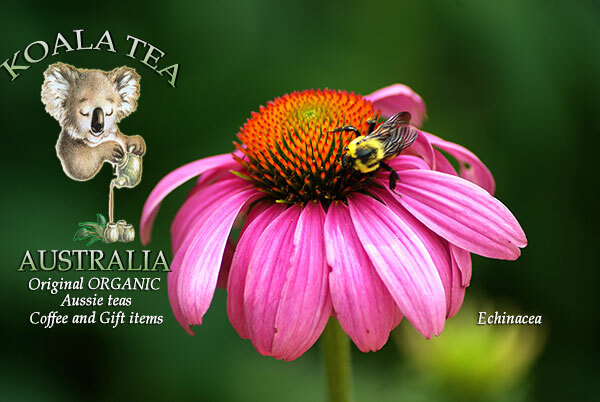 Can we stay healthy with Echinacea tea? We’ve already seen and heard lots of warnings about the upcoming flu season. Like every year, this is going to be one of the worst winters for flu, according to health authorities, and you should go and get your flu shot straight away. That is, if you’re lucky enough to find one, since there is a severe shortage, so don’t dilly dally! I don’t mind admitting I’m a sceptic. I always wonder if it’s not the big multi-national pharmaceutical companies who want to push those flu shots on us. I had an old auntie who never had one until she moved to an old people’s home in her mid-nineties. There she was pretty viagra much forced into conforming; she surrendered and promptly got the worst flu she ever had in her life. She blamed the shot. I’ve never had one and, touch wood, don’t get the flu. 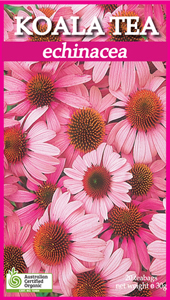 In autumn I start drinking ECHINACEA tea – one or two cups a day. I could take drops or tablets too, but I’m a tea person and I firmly believe in the power of this herb. There have been disputes and sceptical articles about it, but in the end there is no denying that Echinacea works as a preventative, as an immune builder. We also make a tea we call INNER STRENGTH, with Echinacea and Olive leaf. It’s a very powerful combination for strengthening the immune system, not only against flu but against all sorts of nasties. And if you do catch the sniffles, there is always EUCALYPTUS tea to help you. It’s actually very tasty – you’ll be surprised. No doubt you know that the oil is strongly anti-viral and anti-bacterial, so I also put a few drops on a tissue and keep that on me when I have to be in crowds like on a plane or in a theatre. By using these three herbs, there is a very good chance you’ll stay healthy this winter. Staying at the special price is giftbox with our 4 teas for kids. Teas for kids? you may ask. Yes, why not? It may be a new idea here in Australia, but in many countries in Europe and Asia it’s quite normal to give kids herbal teas, and not only when they’re ill. We decided to make a series of teas to help when they do have a problem, and let’s face it, their problem is very much ours. We started off with a tea to help them sleep, dreamtime tea, because that’s always the number one concern for parents. It has chamomile, lemonbalm and passionflower in it. Chamomile is just the best herb, especially for babies and toddlers – they respond so well to it. It helps with teething and really calms them down when they’re agitated. Lemonbalm is excellent when there is an upset tummy involved, and passionflower really calms the nerves. The upset tummies tea is especially for baby’s colic and digestive problems. We formulated it with chamomile, fennel and mint – all herbs that aid the digestion, and then added vanilla, another digestive herb which makes the tea taste quite delicious. For colds and flu, we made wet noses, sore throats tea, with chamomile, aniseed and echinacea. You will notice that yet again there’s chamomile, the almost wonder herb for kids. Aniseed is a warming herb and echinacea strengthens the immune system. When you know there’s a flu going around, it’s a good idea to start giving the kids this tea, and have some yourself while you’re at it. And then there’s happy days tea, with rooibos, cinnamon and vanilla. 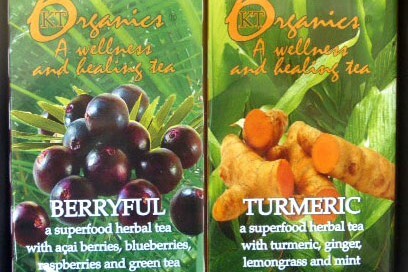 We recommend it as an every day delicious tea, that can also be made into an iced tea or popsicles. Rooibos is a wonderful plant. It doesn’t contain caffeine but is full of minerals, like natural fluoride for healthy teeth and calcium for strong bones. It has anti-allergic and anti-inflammatory properties too. Cinnamon stimulates the circulation, and vanilla rounds the tea off with its lovely taste. All these teas are safe for kids of all ages. You can put them in a bottle, warm or cold, or turn them into popsicles. And let’s face it, they are a lot better for the kids than fizzy and sugary drinks. We think this giftbox will make a lovely Christmas present. 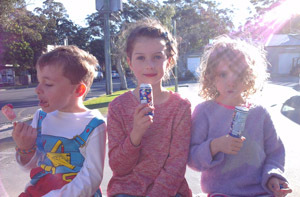 The kids in the photo are three Koala Tea grandchildren, who have grown up with the teas. Zoe, in the middle, is the one on the boxes – she’s a lot bigger now. 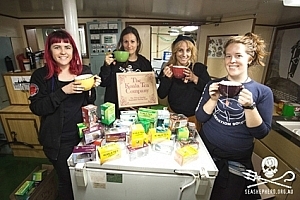 Several times a year we get a visit, or a phone call, from our Sea Shepherd friends to let us know which teas they’re in need of. 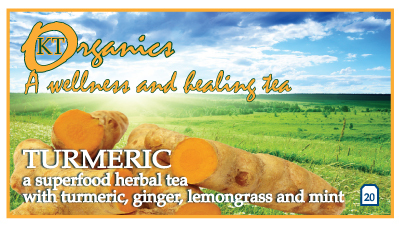 All of our teas are drunk on all their ships, from Cleanse tea to Dreamtime. They have our Breakfast teas, both herbal and English, and of course our No Worries tea. We are so happy to donate them – if we were younger, and had good sea legs, we may have contemplated going out there with them, but this will have to do as our contribution to a very good organisation. We get quite a few requests for donations of tea and, if we judge it to be for a worthwhile cause, we’re happy to supply buy ambien them. The protectors at the Bentley blockade got their weekly tea delivery too. You may have noticed that we have a Peace Tea. We designed that one when Australia was dragged into the Iraq war. Apart from marching for peace, and stickering up our cars with No War signs, this seemed the only thing we could do. We will keep the Peace Tea going for as long as wars keep going, and that seems forever unfortunately… There is an assortment of our teas in the Peace tea box and part of the proceeds go to organisations who look after victims of armed conflicts. Making tea is so much better than making war! Make sure to post your comments, and perhaps ideas, on our Koala Tea facebook page.